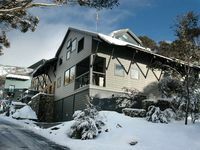 PINNIBAR CHALET #1 - 2Bed+2Loft & 2.5Bath - Sleeps 8, Great for the family! Property 7: PINNIBAR CHALET #1 - 2Bed+2Loft & 2.5Bath - Sleeps 8, Great for the family! 3 Bears 1 Chalet Renovated 3 Bedroom, 2 Bathroom + 2 car spaces at front door. Property 8: 3 Bears 1 Chalet Renovated 3 Bedroom, 2 Bathroom + 2 car spaces at front door. Tomarlin Views 1 - perfect location. Property 26: Tomarlin Views 1 - perfect location. Blues Air 3 - Beautiful Mountain views. 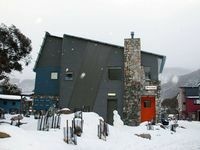 Property 48: Blues Air 3 - Beautiful Mountain views. Really enjoyed the accommodation and our stay.